Crayola Washable Paint, Black, 1 gal - Washable Paint combines vibrant color with true washability. Students can express themselves freely, because Crayola Washable Paint cleans up with just soap and water and washes easily from skin and most children's clothing. Nontoxic paint offers a creamy consistency that users prefer. Quality assures consistent performance. 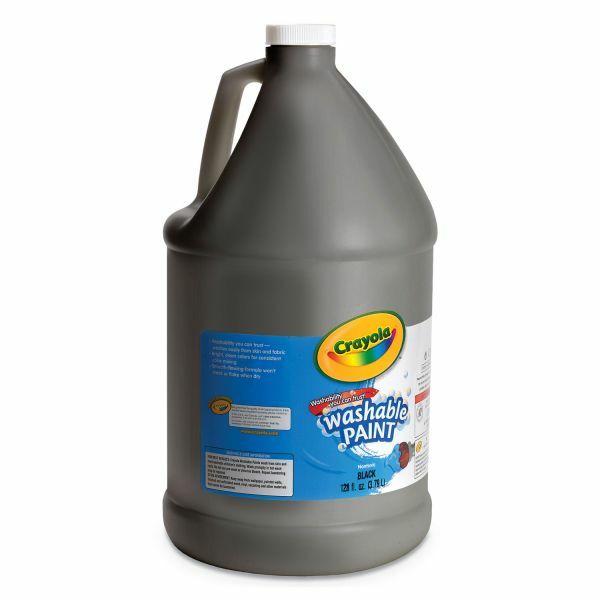 Paint comes in a container with a molded handle for easy pouring.